Pure Leapfrog is the the leading provider of social investment and professional support to community energy projects in the UK. In its new stage, the charity needed a change in its communications materials, starting with its business cards – the most frequently used one. 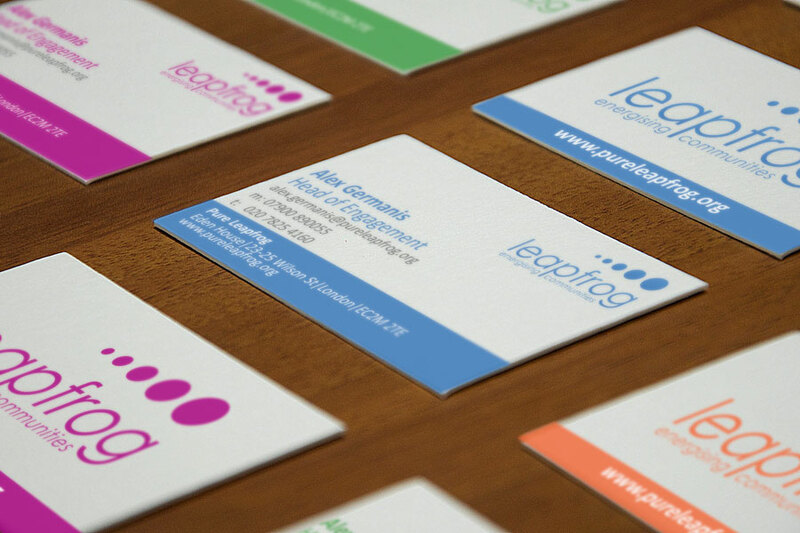 By rearranging the information, it was possible to make the business cards easier to read. By introducing the different corporate colors, the charity shows its innovative spirit.